Inspired by a Rosh Hashana playdate, these muffins are quite the comfort food and perfect for welcoming the Jewish new year. Made with crunchy rolled oats and honey, they are heavenly for the holy days. The combination of orange juice, applesauce, and cinnamon intensifies the flavor and makes these treats a perfect Rosh Hashana house gift. This simple, delicious recipe is perfect for Rosh Hashana or just because. Start your own tradition by serving your next batch alongside sliced apples and honey. 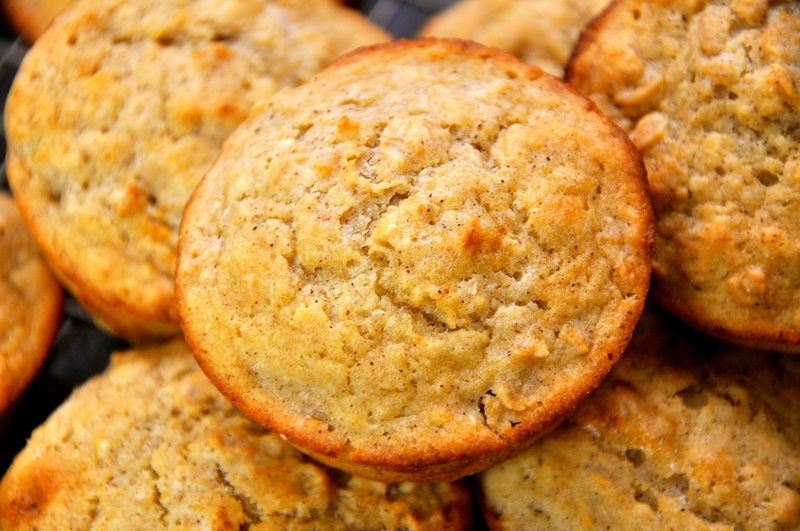 These muffins will definitely become a family favorite. 1. Preheat oven to 400 degrees. Grease muffin pan with cooking spray or line with paper liners. 2. In a large bowl, mix together flour, rolled oats, baking powder and cinnamon. Make a well in the center. 3. In a small bowl, mix together applesauce, orange juice, honey, oil and egg. 4. Pour liquid ingredients into dry ingredients and stir just to moisten. 6. Bake for 22 minutes.